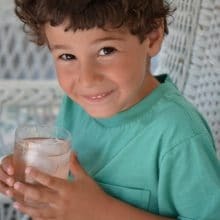 Home » Rose Water & Orange Blossoms Blog – Fresh and Classic Lebanese Recipes » Stories and Recipes » Christmas » Orange Blossom Cream Caramels with Sea Salt. A mouthful of happy. Then, at last, I couldn’t hold back, and here we are with Orange Blossom Cream Caramels with Sea Salt. The editor in me is apt to lasso such an unwieldy thing as that title and shake it down to the ground with a red pen. But the cook in me, the candy-lover in me, and above all, the caramel addict in me goes after that editor, cleans her clock and kicks her to the curb (you had no idea I had it in me). Because every single flavor in this chewy, gooey, gorgeous caramel is worth naming. 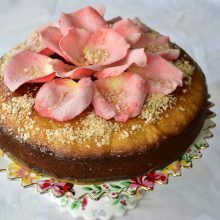 Hey, I did show some restraint with listing ingredients like dark brown sugar in my title, and I consider that a remarkable discipline, given what a big fan I am of dark brown sugar. That’s a sugar that has deep caramel-like flavor all on its own and lends depth to everything it touches. The only thing that could excite me more about this recipe for caramel would be if it also used brown butter. Then we’d be in the same heavenly host as our Perfect Chocolate Chip Cookies, which make stellar use of both. Perhaps someday we will give that a go, and we’ll have Salted Orange Blossom Cream Caramels with Dark Brown Sugar and Brown Butter. That’ll be a fine endeavor, given that anything that even remotely includes caramel is a food blogger who takes her own photos’s dream (you figure out that apostrophe “s” better than that without changing the sentence structure and you get a prize, you editor you). 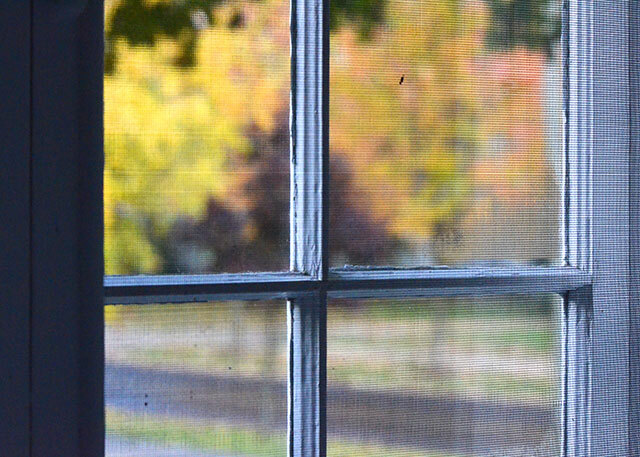 I have made and eaten a lot of caramel in my day, and the one that stays on my mind and sends me back into the kitchen most hails from Miette. The Miette chocolate caramel nails it, but that’s for a particularly flexible caramel-lover. I won’t ask that of you today. It’s the Miette traditional salted caramel recipe that I am certain will send you straight to happy. My addition of orange blossom water? Well that’s going to send you straight to every-descriptor-in-the-book outta sight. This recipe is adapted from Miette. I’ve added the orange blossom water and switched light brown sugar for dark. Based on my repeated experience with the caramel, I advise taking it off the heat before the temperature reaches the optimum 246⁰F, to avoid the temperature rising too high (it keeps cooking even after it comes off the heat) and making for caramel that’s too hard. 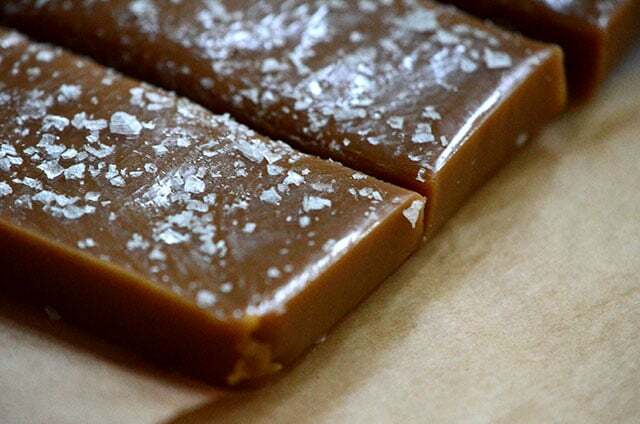 What I love about the Miette method is the low risk of burning sugar, a typical caramel-making problem, since the recipe does not caramelize dry sugar but rather the whole mixture of ingredients over a low temperature. 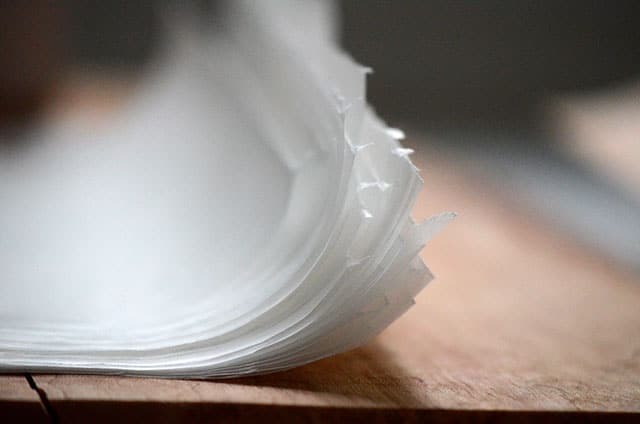 To wrap the finished cut caramels, cut 6”x6” squares of waxed paper or purchase pre-cut wraps, but do wrap, or the caramels will stick together and whatever they are sitting on. 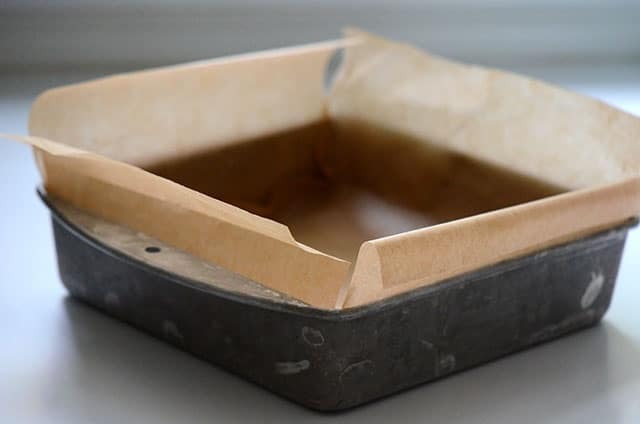 Make a parchment sling for an 8-inch square baking dish by measuring two sheets of parchment so that it will sit, when tucked in, about 2 inches above the pan sides. This will assist in removing the caramel from the pan. Butter the bottom and sides of the dish, then line with the parchment sheets (one sheet one direction, the other sheet the opposite). In a large, 6-quart heavy saucepan (no smaller; the caramel will bubble up quite a bit) fitted with a candy thermometer, combine the cream, milk, granulated and brown sugars, salt, butter, corn syrup, water, and orange blossom water. 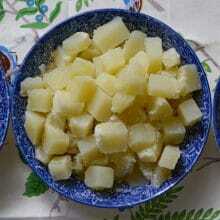 Place over medium-low heat and cook, whisking constantly, until the mixtures reaches 243⁰F, about 40 minutes. Resist the urge to turn up the heat, as this can burn the sugar mixture by heating it too quickly, or take the temperature too high after the pot is removed from the heat. Remove the saucepan from the stove immediately and very carefully (hot caramel burns badly) pour the hot caramel into the buttered pan, scraping out any caramel clinging to the sides of the pan. Let the caramel cool for 15 minutes. 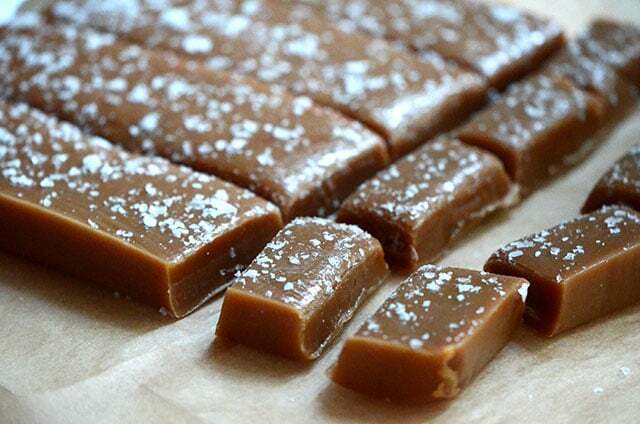 Sprinkle with sea salt, then cool the caramel completely to room temperature. Chill in the refrigerator for about 1 hour to help the caramel set up and make the cutting process easier. Lift the caramel out of the pan using the parchment paper edges. If it resists, warm the bottom of the pan briefly over a stove burner. 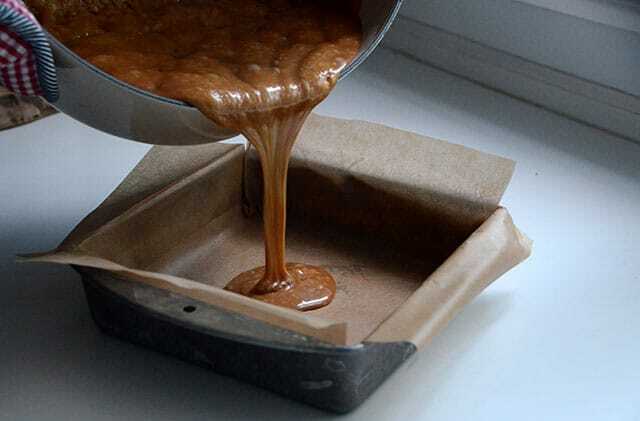 Place the caramel and the clinging parchment paper on a cutting board. Measure 1-inch intervals along the sides. 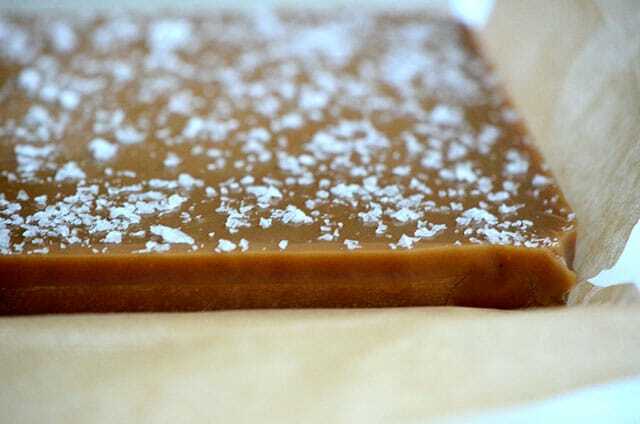 Using a very sharp, large chef’s knife, cut the caramel into 1-inch squares (or larger if you like). Peel the caramel from the parchment. 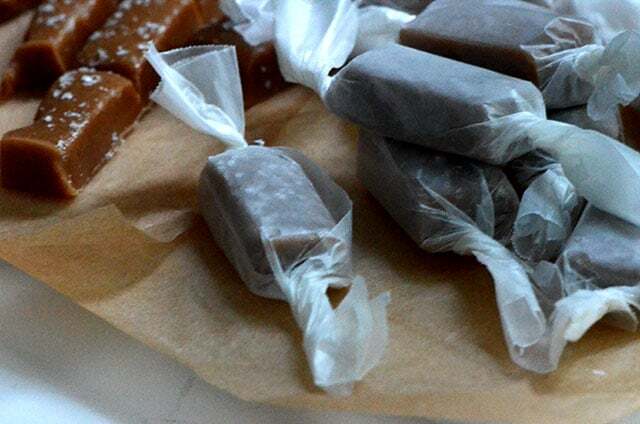 Wrap each caramel in a square of waxed paper twist both ends. 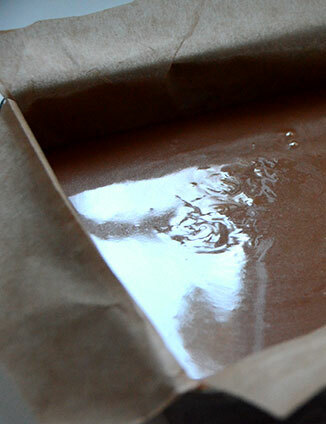 Store the caramels in an airtight container for up to 10 days. 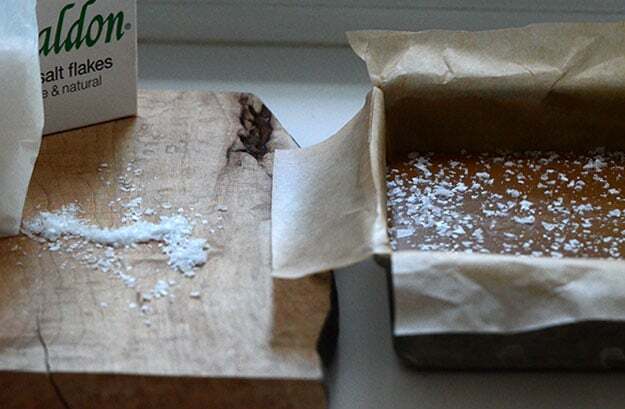 12 Responses to "Orange Blossom Cream Caramels with Sea Salt. A mouthful of happy." My family loves you for this. Loved the title of your post. While I might not make caramels, I do make a homemade caramel sauce. I have added a pinch of salt to it and now may have to add some orange blossom water after reading this recipe. It sounds divine. much as i love sweets, i am mad for the scent of orange blossoms, contradictory and true. i do believe this recipe to be a taste of heaven. Maureen – I can’t wait to make this! I have such a soft spot for salted caramel. Thanks for sharing!! I’m so glad you included all the descriptors. They deserve it. Is it possible to make these without the corn syrup if we are trying to avoid grains/grain ingredients? Gal, I haven’t tried this recipe without the corn syrup; I think the biggest factor is texture, but I think you should have decent results since there are many caramel recipes that don’t include corn syrup. Let me know if you try it! And hugs right back to you Dear Maureen!!! 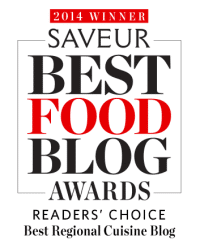 You never cease to amaze–salted caramels–mouth watering recipes and pictures, as always!